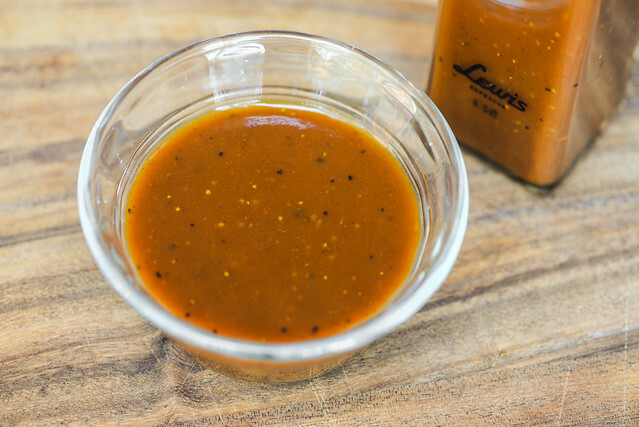 This sauce is John Lewis's take on a pretty undefinable Texas style and it comes out so good that you could argue this is a sauce by which other Texas sauces should be measured against. I'm quick to admit my barbecue heart is in Texas. On a recent trip to Charleston, we stopped in Hemingway for some of the Scott family's excellent spicy whole hog, but as good as that was, I was more excited to go to Lewis Barbecue—helmed by ex-Texas pitmaster John Lewis. 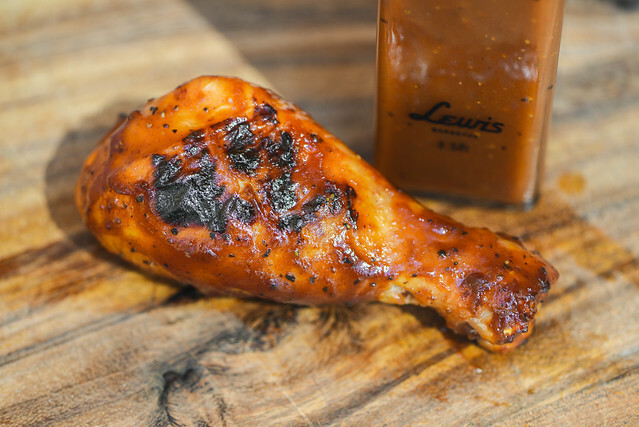 Lewis isn't just any old Texas smoker either, he grew up in El Paso, sharpened his barbecue teeth in competition while living in Denver, then went on to be part of the original crew at the renowned Franklin Barbecue, only to move on to the also highly regarded La Barbecue. Lewis has been behind some of the best brisket and smoked meats to be cooked up in Texas, and those were skills he utilized in opening Lewis Barbecue in his new hometown of Charleston in June 2016. After a visit to his spot, it felt like John Lewis not only brought his extreme talent, but also a creativity spanning outside Texas norms with items like a Hatch Green Chili Barbecue Sauce, smoked fried chicken, and more. Mustard and vinegar combine to form the defining aromatic characteristics of this sauce. There's a hefty mustard pungency that's stronger than normal thanks to a heavy vinegar tang. After some deeper whiffs, the tomato component comes out along with sweetness, adding a ketchup-like character. There's also fairly prominent aromas of Worcestershire and chilies, creating a holistic, familiar barbecue profile. 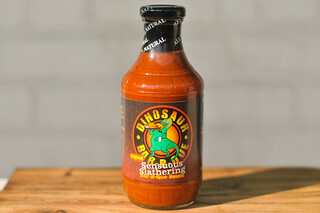 This rusty red-orange sauce is smooth and has a semi-glossy sheen. It's semi-transparent, making it easy to see tons of small spice specs that come in red, white, and black. 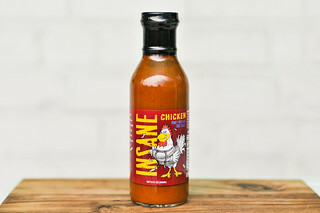 The sauce has a medium-thin consistancy and falls from a suspended spoon in a quick, even, watery stream. A few quick drips, followed by one or two small ones, ends the pour, with a very thin coating of sauce left clinging to the silverware. The flavor starts off mildly acidic with a pungent mustard quickly mixing in. Then both a sweetness and stronger vinegar tartness come through, creating a balanced taste which gains another level of complexity when a bright tomato flavor also pops up. As the sauce settles on the tongue, Worcestershire starts to build in even more layers of flavor, followed by an earthy pepper and background taste of onion. Then, as the sauce exits, those chilies provide a mild heat while the vinegar amps up, the sugar fades away, and the mustard remains, ending with a tangy, earthy, pungent, and lightly spicy aftertaste. This sauce coated the chicken in a thin, even layer that baked down well over indirect heat. When moved directly over the coals, there was some medium caramelization and almost no burn off. The mustard flavor remained really prominent after being cooked, and tasted better than most mustard sauces I've tried. I think that was thanks to all the other ingredients also at play, creating contrasts and balances to the pungency with sugar, tomato, Worcestershire, vinegar, and spices. Everything seemed to come through like it did out of the jar, and remain cohesive and balanced. 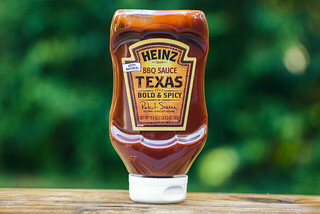 You'd be hard pressed to define a Texas barbecue sauce. Most smokehouses serve them, but the meat usually doesn't need any sauce. Each joint seems to have their own take, and the most unifying thread I think that exists is that there's usually mustard, and the sauces tend to be on the thinner side. So it's probably safe to say this is John Lewis's take on a Texas barbecue sauce, and it's better than most all else I've tried. It features mustard, which has a strong flavor well suited to work with hearty beef, but does so in a strikingly good balance with tomato, Worcestershire, sugar, vinegar, and chili. There's also a notable savoriness which I think is coming from the use of beef stock in here. If you wanted to define what a Texas sauce is, this would be a good model to measure others against. But that's not the point—like most Texas sauces, it's really its own thing. 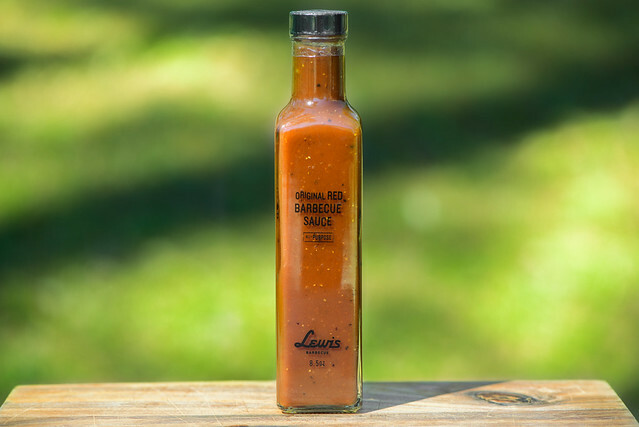 It's meant to work great with smoked meats, primarily beef, which this sauce certainly does, but I think it's also designed to do so much more since its flavor paired great with the chicken, would be awesome on pork or turkey, and it also grilled up well too. This sauce certainly checks a lot of boxes, cementing itself as a great. $31.00 for shipping? It's not that good. We went to Lewis when we were in Charleston last year, and it was as if I had never had brisket before. Even that Atlanta stalwart, Fox Bros, doesn't compare. Since then, we've been to Moonies in Flowery Branch, GA, and they have the best brisket I've had in the metro area. Give them a try if you're on I-85 north of Atlanta.